With coastal attractions stretching from Malibu all the way south to San Pedro and the Port of Los Angeles, LA’s beach communities are the epitome of Southern California’s Endless Summer. 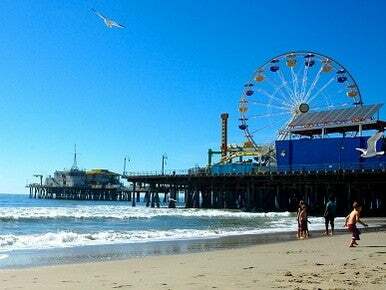 Santa Monica delights beachgoers with the iconic Santa Monica Pier and the endless shopping of Third Street Promenade. 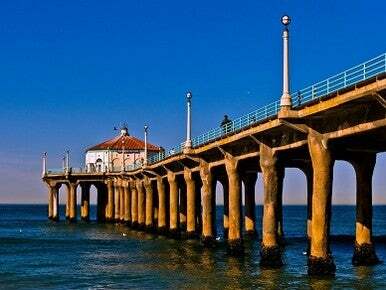 Malibu is the home of the Getty Villa, 27 miles of beaches, and numerous activities in the Santa Monica Mountains. Known for its Ocean Front Walk, Venice Beach is also home to Muscle Beach, the Venice Skate Plaza and numerous basketball, handball and paddle tennis courts. Venice’s Abbot Kinney Boulevard is known for its eclectic shopping and sophisticated eateries. Marina del Rey is one of the world’s largest man-made, small-boat harbors. South of LAX, San Pedro is home to LA’s World Cruise Center, Battleship IOWA, as well as CRAFTED, a marketplace for hundreds of local artisans. Centrally located in Los Angeles, Beverly Hills is a premier vacation and business travel destination, boasting beautiful weather year round, a backdrop of abundant greenery and parks, acclaimed full-service and boutique hotel accommodations, sumptuous dining and incomparable shopping. 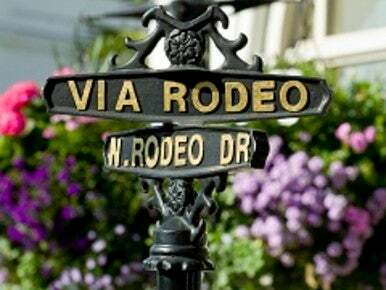 There are more than 100 world-renowned designer and couture boutiques in Beverly Hills including those on famous Rodeo Drive. The city also features five-star restaurants such as Thomas Keller’s Bouchon, Scott Conant’s Scarpetta, Wolfgang Puck’s Spago and Wolfgang Puck’s CUT. Hotels in the city offer the ultimate in service and luxury. Synonymous with glamour, Beverly Hills enjoys an international reputation as the home and playground of A-list movie stars. The city is not only known for its grand mansions and chic boutiques, but also for its small community atmosphere, spas and multitude of art and culture, including The Paley Center for Media. Downtown Los Angeles is experiencing a renaissance. 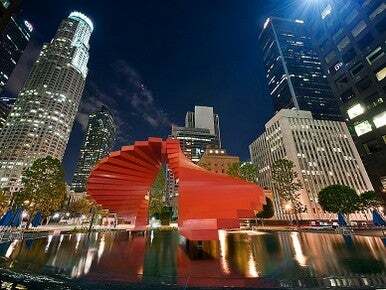 Things to do in Downtown Los Angeles include world class entertainment venues and museums, incredible restaurants, a thriving nightlife scene and walkable streets. L.A. LIVE is a spectacular entertainment complex offering nightlife, restaurants and live music venues, including the GRAMMY Museum, ESPN Zone, Lucky Strike Lanes and Regal Cinemas. Across the street, STAPLES Center hosts major concerts and sporting events. The arena is home to the Lakers, Clippers, Kings and Sparks. Walt Disney Concert Hall is a modern architectural masterpiece anchoring the Music Center, Dorothy Chandler Pavilion, the Ahmanson Theatre and the Mark Taper Forum. Nearby, Silver Lake offers low-key dining and trendy boutiques with a neighborhood feel. For millions of visitors, Hollywood is an essential part of the Los Angeles experience. Things to do in Hollywood include must-see shows and attractions, celebrity-frequented restaurants, and world class hotels. Hollywood is rightfully known as the entertainment capital of the world. Experience the glamour of cinema at Grauman’s Chinese Theatre or the Hollywood Walk of Fame, which has honored celebrities for over 50 years. The nearby Dolby Theatre is home to the Academy Awards. For thrillseekers and families alike, Universal Studios Hollywood is a world famous theme park that includes the state-of-the-art “Transformers: The Ride 3-D.” Other things to do in Hollywood include the shops and restaurants at Hollywood & Highland Center in the epicenter of Hollywood. In addition to Tinseltown glitz, Hollywood is home to neighborhoods like Thai Town and Little Armenia, offering a rich array of ethnic cuisine. Five counties make up Greater LA – Los Angeles, Orange, Riverside, San Bernardino and Ventura. 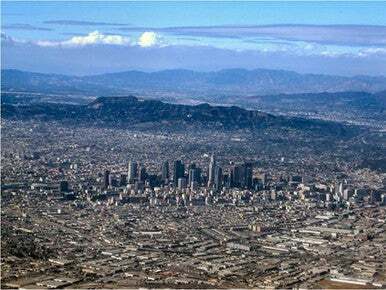 From the desert to the sea, and the mountains to the valleys, the diversity of the Greater Los Angeles area is astonishing. High-mountain adventure is available at Bear Mountain and its sister resort, Snow Summit, located in the nearby San Bernardino Mountains. Anaheim is located just 45 minutes south of Downtown LA, and a little farther south, a day of big splashy fun at SeaWorld San Diego awaits. For bargain hunters and shopping fanatics, sprawling outlet malls are the place to be. Several top-notch centers are located just outside LA, including Camarillo Premium Outlets and Desert Hills Premium Outlets. 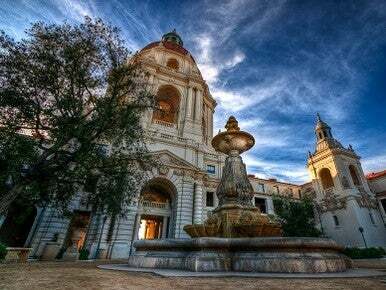 Pasadena is the home of a world famous stadium, renowned cultural attractions and educational institutions, and some of the best hotels and restaurants in Los Angeles. The landmark Rose Bowl is the home stadium of the UCLA Bruins football team, and the site of the monthly Rose Bowl Flea Market, the annual Rose Bowl Game and July 4th fireworks. Some of LA’s most popular gardens are found at The Huntington Library, including the renovated Japanese Garden. The Gamble House is regarded as a masterpiece of the Craftsman movement. The Norton Simon Museum has an impressive collection of European art, while the historic Pasadena Playhouse has been the State Theatre of California since 1937. Other cultural attractions include the Pacific Asia Museum and the Pasadena Museum of California Art. Shopping areas include Old Pasadena, the outdoor Paseo Colorado, and South Lake Avenue. One of Pasadena’s best hotels is The Langham Huntington, featuring the acclaimed Royce restaurant. With world-class oceanfront hotels and glorious Pacific Ocean setting, Santa Monica is one of LA’s most popular destinations. Named one of the Top 10 Beach Cities in the World by National Geographic, Santa Monica blends urban energy, beach town atmosphere and natural beauty delivering an unrivaled California beach experience. Home to many top attractions including the iconic Santa Monica Pier and Third Street Promenade, visitors can explore the endless restaurants, shopping and cultural attractions that has attracted celebrities for decades. Get a taste of Santa Monica’s award-winning culinary scene renowned for fresh Farmers Market ingredients, diverse international influences and al fresco dining with ocean views. Create the perfect LA beach look with trendsetting boutiques, celebrity favorite Fred Segal and Santa Monica Place, a three level open-air shopping haven. Embrace the Santa Monica lifestyle and live like a local with beach yoga, surfing and bicycling. 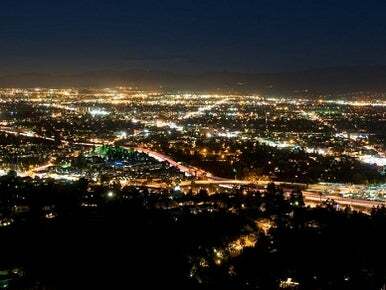 The Valley is home to movie studios, excellent restaurants and natural and cultural attractions. Foodies and fashionistas alike will love Ventura Boulevard, the Valley’s main thoroughfare. Many of LA’s most acclaimed sushi restaurants are located on “Sushi Row” in Studio City, while dozens of boutiques and vintage clothing shops are sure to make fashionable shoppers drool. The vibrant NoHo Arts District in North Hollywood is home to the Academy of Television Arts & Sciences and an array of cafes, boutiques and theaters. Nature-lovers will appreciate Griffith Park, the largest municipal park in the United States and home to the Griffith Observatory, Los Angeles Zoo, and hundreds of miles of hiking trails. The Valley Performing Arts Center features top-quality performances in a world-class, eco-friendly setting. At the Ronald Reagan Presidential Library & Museum, visitors can tour Air Force One, sit in a replica of the Oval Office, and view a piece of the Berlin Wall. The legendary Sunset Strip, fashionable Robertson Blvd., and a vibrant gay community are just a few of the reasons why West Hollywood (aka “WeHo”) is one of LA’s top neighborhoods. The Sunset Strip has it all, from entertainment venues like the House of Blues and the Comedy Store, to the lively Saddle Ranch Chop House and fine dining at Asia de Cuba. Another famous West Hollywood street is Robertson Blvd., known for its high end fashion boutiques. WeHo is home to Southern California’s largest LGBT community, and is the site of the annual Gay Pride parade in June, and the Halloween Costume Carnaval, which attracts hundreds of thousands of partiers. 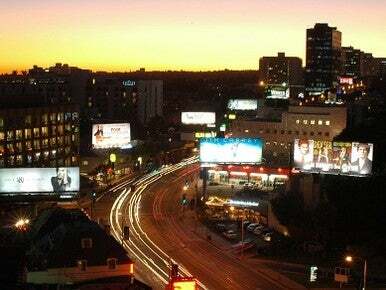 The Abbey is the most famous of WeHo’s numerous bars and clubs, mainly located on Santa Monica Blvd. Some of LA’s best hotels are located in West Hollywood, including the Andaz, the Sunset Tower Hotel, the London and the Mondrian. Located on Kings Road, the Schindler House is considered to be the first house built in the Modern style. 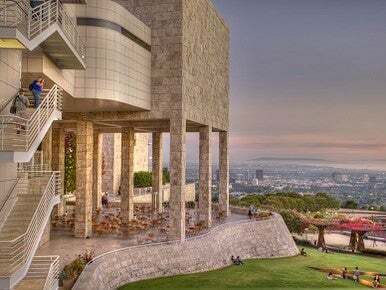 The Westside is known for its top restaurants, high end shopping, and acclaimed cultural attractions. Shopaholics flock to the trendy boutiques on Third Street, popular shopping centers such as The Grove and the Beverly Center, and the landmark Original Farmers Market. Robertson Boulevard is known for its celebrity-magnet restaurants and chic, high-end boutiques. The affluent Brentwood community includes upscale shops and eateries along Montana Avenue and the world famous Getty Center, located atop the Santa Monica Mountains. More cultural attractions can be found on Museum Row, including the Los Angeles County Museum of Art (LACMA), the Petersen Automotive Museum, the Craft and Folk Art Museum and the Page Museum at the La Brea Tar Pits. In Century City, the Annenberg Space for Photography features a digital projection gallery and traditional print exhibit area. The Paley Center for Media is a living catalog of television and movies.